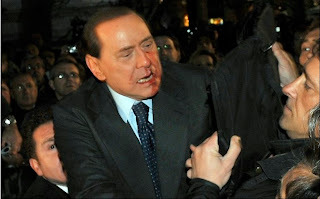 Italian Prime Minster Silvio Berlusconi is recovering from being attacked by what eye witnesses described as wielding a souvenir model. 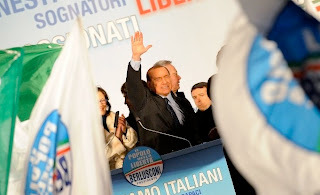 The incident was captured by television cameras and happened as Mr Berlusconi was on his way to his car. 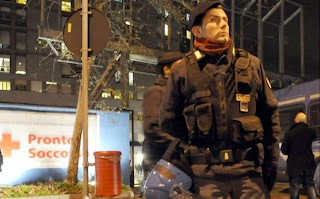 He was left bleeding after being struck by what one eye witness described as a heavy metal ornament. Massimo Tartaglia, who is believed to have a history of mental illness has been charged for aggravated assault in relation to the incident. 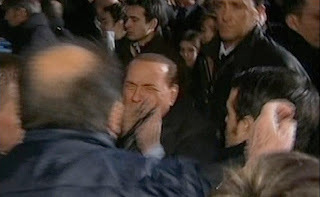 According to reports the Italian Leader was signing autographs when the metal object was thrown at his face. 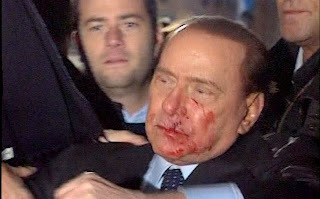 Mr Berlusconi aged 73 attempted to assure his supporters that he was fine. He is recovering in hospital after suffering severe bruising to the face, two broken teeth, a broken nose and cuts to the lips.